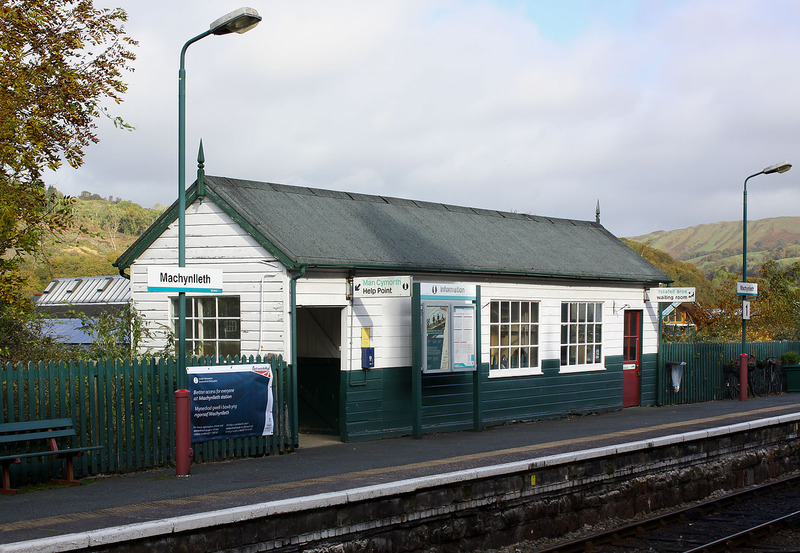 Machynlleth station is still full of character. Even the wooden waiting room on the up platform still survives, having managed to avoid being replaced by the ubiquitous 'bus shelter', although one has been provided a little further along the platform, underneath the footbridge. It is pictured here on 19 October 2014.